At the center of this fresh and genius gas pressurized shock for your Jeep Wrangler from Rancho is the one of a kind and patented rebound valving system and an improved compression phase on the RS5000X Rancho Shock. This brilliant process developed by the cutting edge minds at Rancho will increase overall handling and performance of your vehicle whether you’re kicking dust on off road or looking great on road, the RS5000X Rancho Shock is what your Jeep Wrangler deserves. 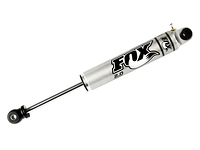 The RS5000X shock is a 2-1/4-inch diameter shock. The larger body provides added fluid capacity to operate cooler while increasing control. 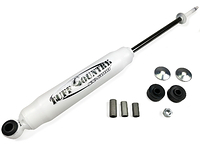 Each RS5000X shock includes a durable, polyurethane bumper that helps control the rebound motion in severe driving conditions to greatly reduce wear and tear for a long life spent off road and on road. 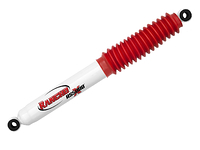 Rancho RS5000X for your Jeep Wrangler is backed with a limited lifetime warranty. 3. 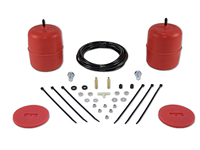 Most Suspension lift kits will lift the front more than the rear (Example: 6 in. front / 4 in. Rear). 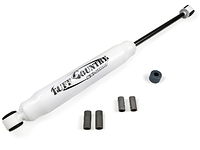 Please select the actual amount of the REAR lift (not the front) when ordering rear shocks. 4. With Rancho RS6502 or RS6503 or comparable suspension system. Amount of lift required: 2 1/2"